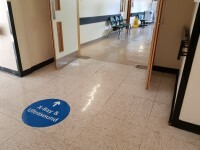 Services within the building include: Chapel, Restaurant, X-Ray/Ultrasound, Audiology, Outpatients, Izod Ward, Abbotts Ward, Burlingham Ward. 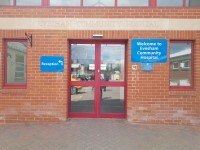 Evesham Community Hospital is located off Waterside and can be accessed from Evesham Town Centre via Pershore Road. 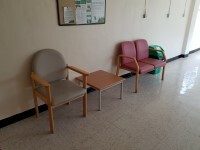 Blue Badge bays are available outside the Main Entrance and Physiotherapy. 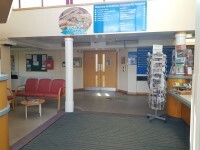 The nearest bus stop is Waterside Hospital and is located on Waterside at the front of the hospital site. 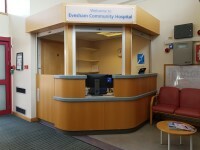 The nearest train station is Evesham which is approximately 1.2 miles away. 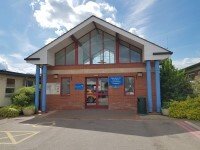 Please see the link below for the bus provider near Evesham Community Hospital. 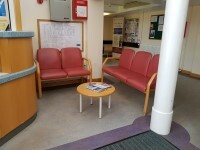 Please see the link below for the train provider at Evesham. You are on Parking (Standard Parking). Skip to the next section. 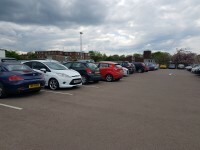 The car park is located at the front of the hospital site. 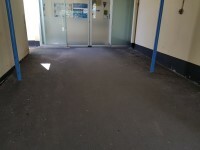 The surface on the approach to the entrance is tarmac and concrete. You are on Parking (Blue Badge Bays). Skip to the next section. 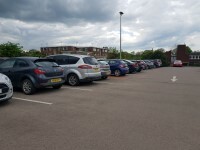 There is/are 5 designated Blue Badge parking bay(s) within the car park. 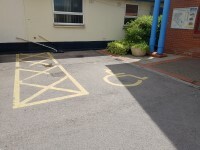 The dimensions of the designated Blue Badge parking bay(s) surveyed are 366cm x 489cm (12ft x 16ft 1in). 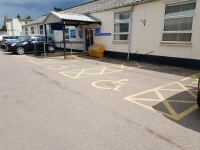 The nearest designated Blue Badge parking bay is approximately 5m (5yd 1ft) from the Main Entrance. 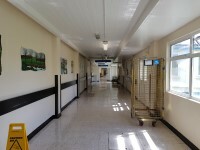 This information is for the entrance located at the rear of the hospital site, at the front of the building. 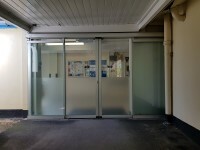 The width of the door opening is 132cm. 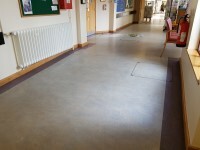 The reception point is approximately 3m (3yd 10in) from the Main Entrance. 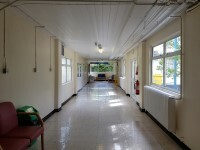 There is a slight slope, with no handrails, for access to the left side corridor. 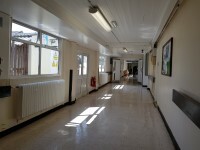 There is a slight slope, with no handrails, for access to the X-Ray and Ultrasound Department. 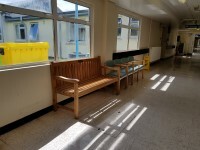 The slope is shown in photo seven. 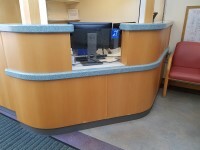 The portable hearing loop can be found at the Main Hospital reception. 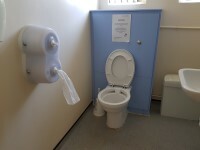 The nearest accessible toilet is located within the restaurant. 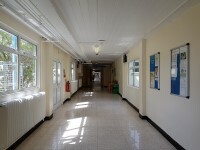 The shared toilets that were surveyed are located on the Main Hospital corridor. 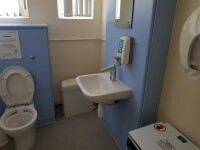 The shared toilet(s) is/are approximately 29m (31yd 2ft) from the Main Entrance.